Piccadilly Jim based upon the P.G. 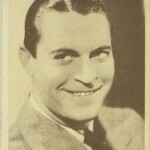 Wodehouse novel of the same name is a 1936 release from MGM featuring Robert Montgomery in the title role with a mostly strong supporting cast behind him. TCM's website lists versions with five different running times, between 87 and 100 minutes. I appear to have viewed the middle most of those with my version from TCM's most recent airing clocking in at 95 minutes. I'm left to wonder both what I missed and what I saw that others have missed. 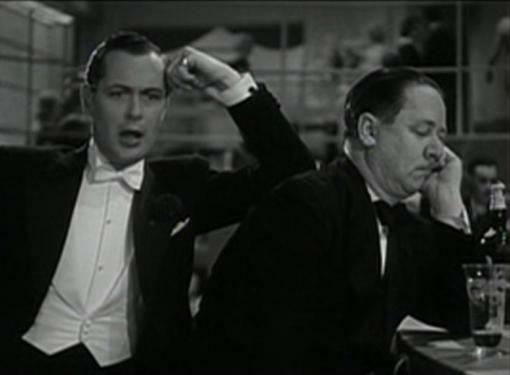 Robert Montgomery plays James Crocker, Jr., an American living and working in England as a caricaturist under the Piccadilly Jim name. Where there's a junior there's bound to be a senior and Piccadilly Jim couldn't have cast the part any better than it did with Frank Morgan. Crocker, Sr. is a retired actor who gets by in these later days thanks to his son's well-paying job drawing for the London Gossip. "My father is a Shakespearean actor. He plays Shakespeare or nothing. In other words, nothing." "Oh, that's a pity, sir. Mr. Crocker, was such a fine actor too." "My father is not a fine actor. My father is a ham." "Ah, but a delightful ham, sir," says Bayliss, then correcting himself, "I mean gentleman." Jim's father has come to visit with a problem or as Jim puts it in breaking the ice, "Bayliss tells me you have something of import to impart." "Herbert is the rag king of America," Jim Sr. explains. "Ah, a musician," replies the son. "No, he has a process." "Can't he have it lanced?" "Oh, you don't understand," Jim, Sr. says, a little confused as to how to best explain. "Herbert buys clippings from clothing manufacturers and converts them back into cloth again. It's netted him millions." "Huh, from rags to riches." Rags to riches indeed. Jim, Jr.'s label on the Petts will be put to good use later. Meanwhile he sends his father on his way as he's off to a meeting with an American editor, Bill Macon, played by Robert Benchley. 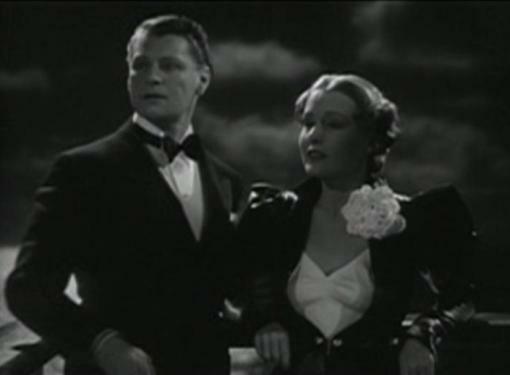 Benchley actually wrote an early version of the Piccadilly Jim script before eventually being cast in this small role. 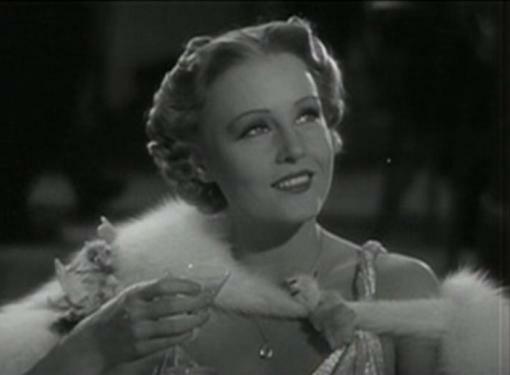 Benchley is only afforded a few minutes in a single scene to do his typical drunk act, but it's a key scene as he's the one who first spots the beautiful blonde (Madge Evans) who'll soon capture Jim's heart as she enters the club. After pulling Macon back to the bar, Jim heads over to the blonde's table himself and interrupts her date with a well-mannered fellow we'll come to know as Lord Priory (Ralph Forbes). The blonde, who Jim soon learns is named Ann, and the Lord are amused by Jim's drunken attempts to put himself over to Ann. She eventually agrees to one dance with him as long as Jim will go on his way afterwards. He continues to push and prod her about a future date which Ann shows no interest in, though she does let slip that she'll be riding the next morning. Back home Jim's father and Bayliss are entertaining Eugenia and the Pett family. Eugenia's sister, Nesta Pett (Cora Witherspoon), is the unopposed leader of this clan, having adapted herself very well to the position that came with the tremendous good fortune of her husband's (Grant Mitchell) rag business. Along with the adult Petts, Nesta and Herbert, is precocious young son, Ogden (Tommy Bupp). Ogden has inherited all of his mother's bad manners and amuses himself by teasing adult acquaintances such as Morgan's Crocker, Sr.
Jim, Sr. has sold his son to the Petts as a artist in the tradition of Michelangelo, but Nesta Pett isn't buying the story. She wonders out loud why this acclaimed artist doesn't display any of his work on his own walls. 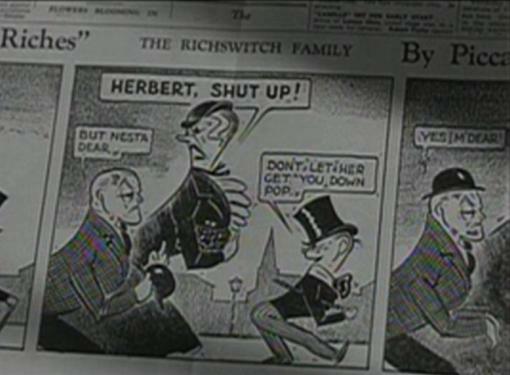 Timid Herbert giggles over one of Piccadilly Jim's drawings exposing Crocker, Jr. as a mere caricaturist before he's even arrived to introduce himself. As Nesta rips into Jim and the entire art, butler Bayliss takes exception and comments, "I beg your pardon, madam. You seem to have forgotten, Hogarth, Cruikshank and Nast," setting Nesta's mood even worse before he continues to catalog the classic illustrators. 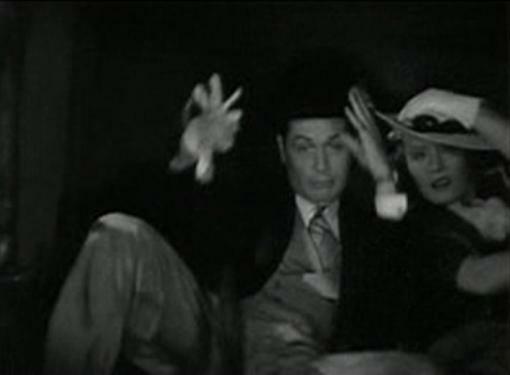 When Piccadilly Jim arrives home in a charming Robert Montgomery state of inebriation the get together falls apart with Nesta eventually huffing and puffing before blowing her family out of the apartment by brute force. She's absolutely dead set against any union between her sister and Crocker, Sr. Meanwhile Jim, Jr. has charmed potential stepmother Eugenia, who's all smiles and Billie Burke chirps as the family departs. Montgomery's Piccadilly Jim spends the first twenty-five minutes or so of the movie delightfully toasted. He's never falling down drunk as Benchley's American editor practically is for the entirety of his brief visit, but blessed with a golden tongue and somehow personable smirk which makes his every word go over smoothly to all. All but Nesta, at least. Despite his excessive charm, or likely because of it, Jim's work was not up to par and his editor (E.E. Clive) soon drafts a notice of dismissal to him. On top of money worries, which force Bayliss into darning socks and leave Jim wondering how many eggs are left to eat, Ann has disappeared leaving our hero sober by choice and as miserable as he's capable. 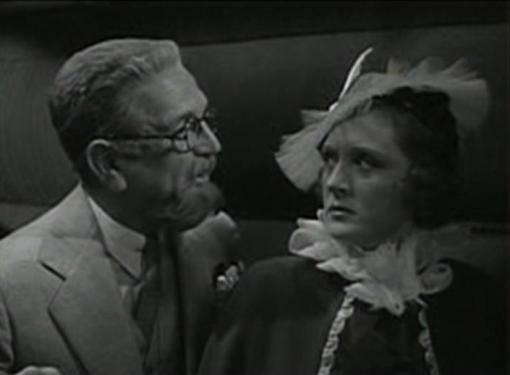 His father isn't very cheery himself as Nesta and the Petts have taken his Eugenia away to the Riviera in hopes of dashing any potential romance between the Frank Morgan and Billie Burke characters. Bayliss tries to cheer both Crockers up, but neither are having any of it with Jim especially not interested in hearing Bayliss' story of Robert the Bruce and the spider. But it's Bayliss who springs upon the solution to at least one of their troubles when he giggles over Jim's sketches of the Pett family and suggests the characters would go over big in "the funnies, sir, as you call them in America." Jim agrees and the poor Petts, upon their return to England, are left to wonder why everyone is laughing at them. I'll tell you why. During their absence Piccadilly Jim's comic strip, called, wouldn't you know: "Rags to Riches" featuring the Richswitch family, has exploded across England. At least that's what the montage showing giddy Brits laughing over the strip and imitating it's uproarious characters strives to prove. One thing immediately stands out about the Petts upon their return. They have their niece with them and, hopefully this isn't too shocking, it's blonde beauty Ann! Now that I've set-up Piccadilly Jim for you, surely you won't be surprised to hear the remainder of the film focuses upon Jim's doing his best to pry Ann away from Lord Priory and his father giving his all to win over the Pett family and secure Eugenia's hand. The extents the Crockers are forced to go to in pursuit of their romantic goals include Jim posing as Bayliss the butler's son and Jim, Sr. making his triumphant return to acting with neatly trimmed beard and cartoonish accent in the part of Count Osric of Denmark. Of the latter, ever perceptive young Ogden immediately notes the cause of his mother's approval and pipes in, "Another title, huh. 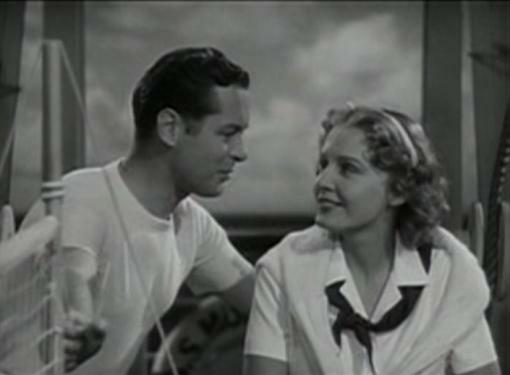 Nice going, Mom"
Robert Montgomery is tremendous in the part of Piccadilly Jim, all the more so because Madge Evans doesn't give him much to work with as his romantic lead. I don't know if it's the script, Montgomery, or some other reason, but I got the feeling she really doesn't want to be in this one. Her character is supposed to be icy towards Jim most of the time, granted, but she has a couple of opportunities in potentially hilarious scenes and if anything she drags them down with her. 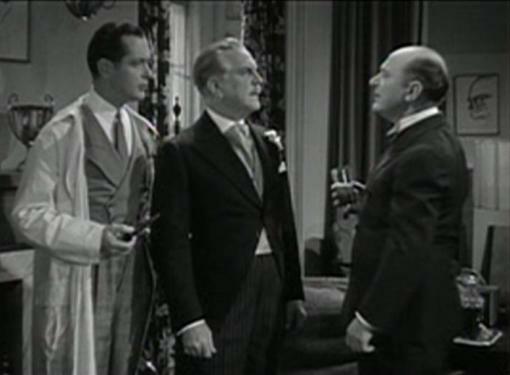 Frank Morgan and Eric Blore are fantastic in a pair of roles which both turned out to be larger and more important than I had first expected them to be. Morgan as ham actor is casting that could have only been improved by placing John Barrymore in the role. Maybe. Morgan is strong. Blore is Blore. I've covered him a lot on my Warren William site lately as I make my way through the Lone Wolf series and his Bayliss may as well be called Jamison because it's the same character. Billie Burke manages not to stand out here, but this is through no fault of her own, there just isn't much for Eugenia to do. 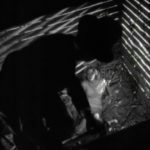 She has some sweet scenes with Frank Morgan and surely fans of The Wizard of Oz will get a kick out of seeing them as a romantic couple here, but the match is decidedly one-sided on the screen with Morgan having much more to work with. 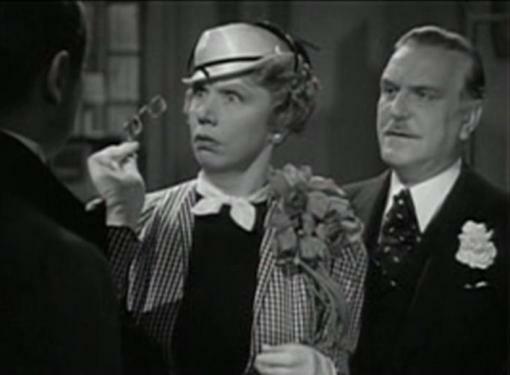 The Petts, as led by Cora Witherspoon in one of Piccadilly Jim's top performances, are so strong that I'm left to wonder why MGM didn't take the Richswitches and make "Rags to Riches" into a comedy series of its own afterwards. I guess if the idea actually occurred to anyone they would have had to obtain further rights to the characters from Wodehouse to do so. But I could easily imagine them as almost an anti-Hardy family series. The Petts were everything Jim's "Rags to Riches" made them out to be with Witherspoon's Nesta constantly barking orders at Grant Mitchell's Herbert! and little Tommy Bupp's Ogden giving us a perfect spoiled rich brat right down to his drawing mustaches over fine art out of boredom. Nesta's control of Eugenia has a lot to do with Billie Burke's failure to break out here. 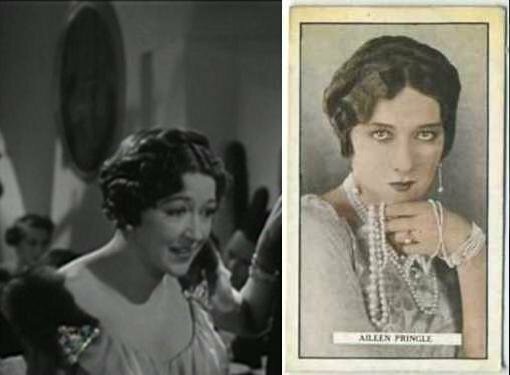 Perhaps this would have been less conspicuous had a lesser known actress been cast in the Eugenia role, but either way it makes Witherspoon's Nesta Pett all the more titanic to keep Dinner at Eight's own alpha-Mom Millicent Jordan under wraps like she does! She even orders Eugenia at one point to "Be still, you imbecile!" and Eugenia takes it! Ralph Forbes is kept busier than I expected as Lord Priory, a vanilla gentleman about whom even Piccadilly Jim, his challenger for Ann's affection, says "I've tried to dislike the fellow ever since I met him and I can't do it." There's an attempt to muddy Lord Priory's character some and while the resolution gives us a chuckle the entire idea is too far underplayed to make Forbes much more than an empty slate of a character. 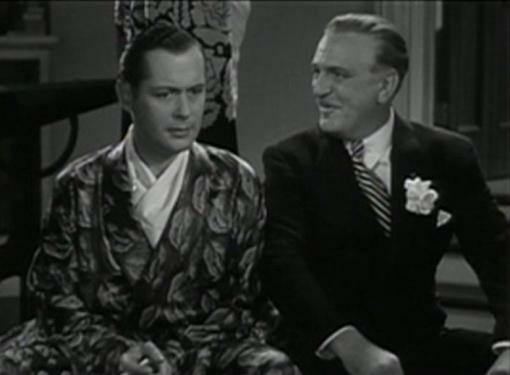 Despite the strong performances of Morgan, Blore, and especially Witherspoon, the star of Piccadilly Jim is Robert Montgomery as Piccadilly Jim and he appropriately gives the strongest performance of the bunch. Drunk or sober his tongue is golden throughout. High or low his Jim always carries a good demeanor. He's so damn charming that you wonder how he's unable to better chip away at ice-queen Madge Evans, whose Ann finds him, in one of her more pleasing moments, both "charming--and utterly worthless." After being told that Lord Priory is kind, charming and gentle, Montgomery eats up her remark saying that they make him sound less like a plate of cold potatoes. Ann is correct to a point as the Piccadilly Jim she first meets is utterly worthless. He drinks too much and works too little. When his father tells him he shouldn't burn the candle at both ends he explains, "That's why I'm going a little easy on the morning end." Even when he's calmed down because he's lovesick Jim goes ahead with his public mockery of the Petts in his comic strip and eventually has to hear that he "did an ugly harmful thing to people that were hurt by it." He only softens the edge on the Richswitches when he stands to gain something by doing so and he is, despite his likeability, an almost completely selfish character. At the same time his relationship with both his butler and his father say a lot of good for Piccadilly Jim. He employs one and supports the other. 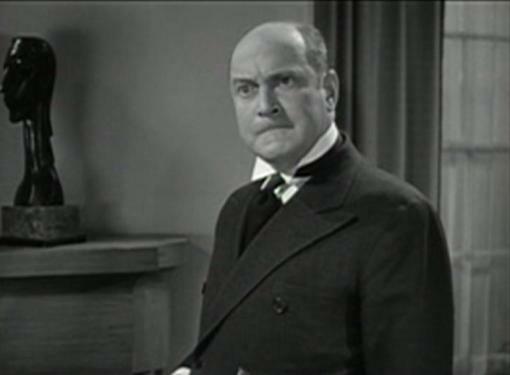 It's not just Bayliss, Eric Blore's butlers always seem to land work with dream employers. He's as much Jim's friend and confidante as he is employee. As for his father, well, Jim has to take care of him because the old man is even more worthless than he is himself. But Montgomery and Morgan come across as truly fond of each other and so when Jim refers to his father and Eugenia as "you kids" it's more cute than obnoxious. That's the fine line that Robert Montgomery walks in Piccadilly Jim. How thick can you lay on the charm before it goes over the top making for an obnoxious character? 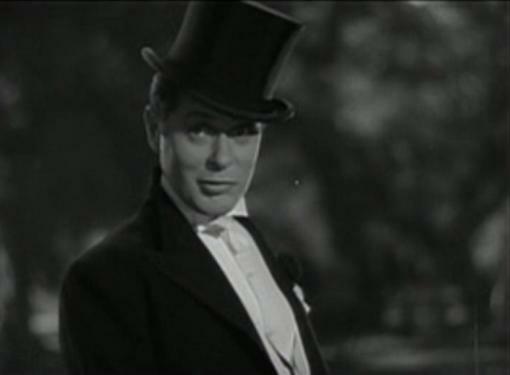 Montgomery walked that tightrope perfectly for me and thus Piccadilly Jim worked very well from my eyes. 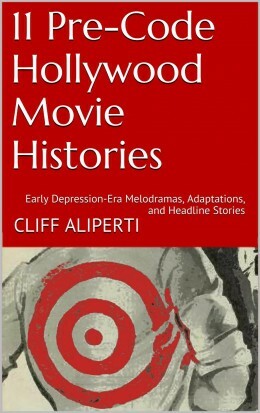 Based on a novel published in 1917 by P.G. Wodehouse, Piccadilly Jim had previously been made as a silent film starring Owen Moore and Zena Keefe in 1919. This 1936 version was originally conceived as a musical by David O. Selznick, who had acquired the rights from Guy Bolton for $5,000 in August of 1934 (Wodehouse had previously signed over rights to Bolton in order to settle a dispute in 1933). Several writers, including Robert Benchley, worked on Piccadilly Jim over a period of two years before this version by Charles Brackett and Edwin Knopf was put into production in June 1936. Robert Z. Leonard directed. 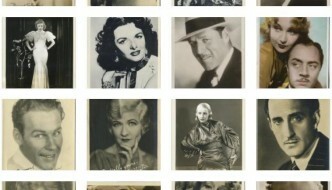 Filming finished in July and Piccadilly Jim was released to U.S. theaters on August 15, 1936. Frank S. Nugent praised the film in his review for The New York Times writing that Brackett and Knopf had "preserved the original's spirit perfectly." Nugent called the finished product "an engaging bit of nonsense" that "provides an uncommonly diverting hour or so of picture-watching." Piccadilly Jim is currently unavailable on video in any format (The 2006 version is available on Netflix Instant). I grabbed my copy from a Turner Classic Movies airing and recommend Piccadilly Jim as worth seeking out if they choose to air it again. Funny and engaging, it's everything I like best about Robert Montgomery. Nugent, Frank. "Piccadilly Jim." The New York Times. 31 August 1936. Taves, Brian. 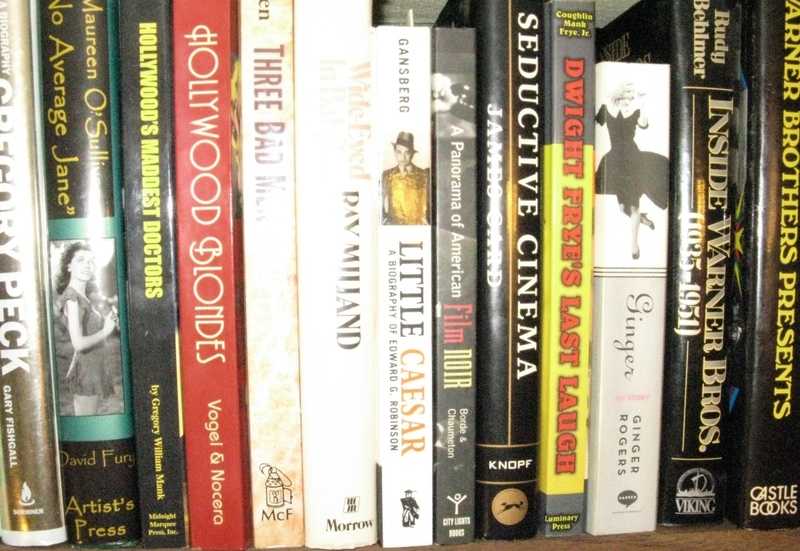 P. G. Wodehouse and Hollywood: Screenwriting, Satires and Adaptations . Jefferson, NC: McFarland & Company, Inc., 2006. 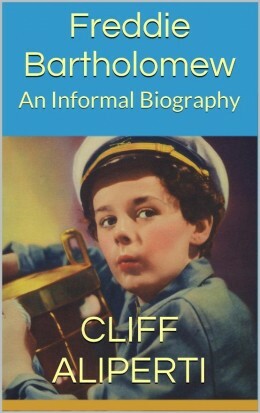 Hi Cliff! Very much enjoyed your post on a film with one of my favorite actors. I especially liked your take on him calling his dad and future stepmother “kids” — you’re right, it was played just perfectly. Very sweet moment. It’s interesting Madge Evans is icy in this for so long, as they were well teamed in several movies and in real life were lifelong good friends. Thanks Laura! I didn’t have much Montgomery up on the site prior to this and recently had a Twitter conversation about him that planted the seed to get something up! Maybe Madge was having a bad month because there were only two scenes in the entire movie where I succumbed to her charms: 1) After the “bumpy ride” when she’s standing with her hat slanted down over her face, but even then she didn’t hold it long enough for it to be as funny as it could have been, and 2) The very final scene of the movie. Otherwise I wound up wondering why Montgomery was trying for her so hard! 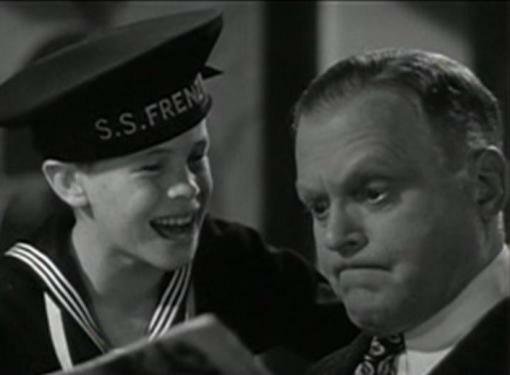 Watching today, I didn’t realize Bob Montgomery was such a star & a good actor, I just remember him from TV as a kid! He seemed like a really moral, patriot too! TCM has opened up a new world for me, as I owned & worked in a few very good restaurants in Hollyweird & many older (in my eyes then as a young man) movie & stage actors used to come in where I worked & 2 that I owned as a very young man in Hollyweird (my name for it, as I was a model & aspiring actor, as managed, or my agent was Henry Wilson), as I soon learned that if you didn’t “play” with PEOPLE interested in you, you had no career & most directors, producers were low immoral perverts (and I knew them all @ parties & coming into my restaurants), basically, most were so ugly the only way they made out, was to basically hire beautiful people, men & woman, then offer them fame & fortune, IF, THEY COULD molest, or sleep with them! Basically Hollyweird is a high priced whorehouse! I was called “The most beautiful boy IN the world” & a cross between Victor Mature & Tyrone Power, for the obvious reasons if you saw pictures of me! 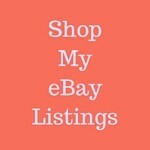 I quit modeling, movies, TV & got Lucky with a mentor, along with his wife owned a very famous & popular restaurant chain! I was writing an autobiography, but, I had to stop because of some medical issues, but, hopefully will get it finished soon! Whenever I see a good looking person in the entertainment businesses & who they are with, actor, actress, producer, director, I can figure it out very soon & read between the lines! Especially when these cattle or sheep try to get intellectual, or political, I laugh & think, just spread your legs sweetie or get on your knee pads & shut up & do what you’re good at! Haaa. Most of them are just spoiled whores & couldn’t have an original thought, unless in a script! Most were professional prostitutes, or just plain street whores, male & female & when my book comes out, you will see what I mean, I’m gonna name names as 80-90 % came into my restaurants & I used to give tid bits to the gossip queens of Hollyweird! Happy gossiping! Haaa.